Updated 10:10 p.m. Eastern with solar array deployment. 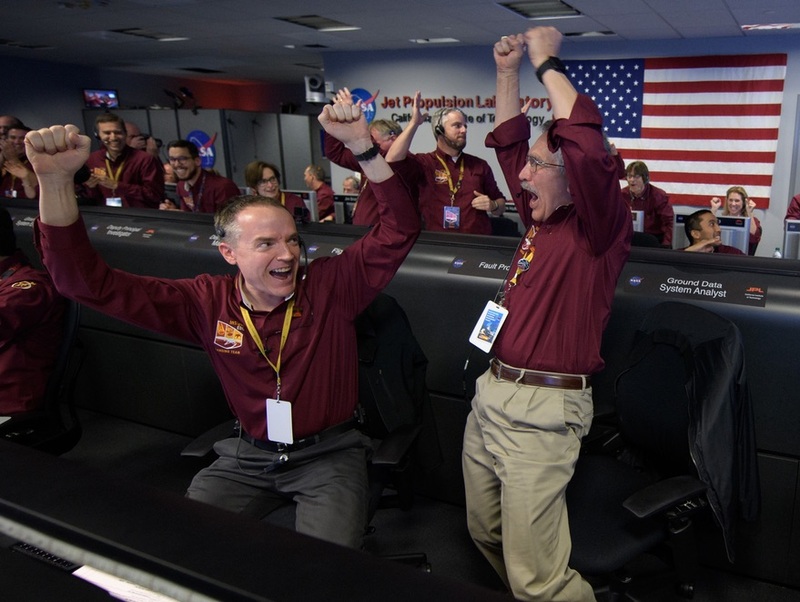 PASADENA, Calif. — NASA’s InSight spacecraft successfully landed on Mars Nov. 26, completing a journey of nearly 500 million kilometers and starting a mission to study the planet’s interior. 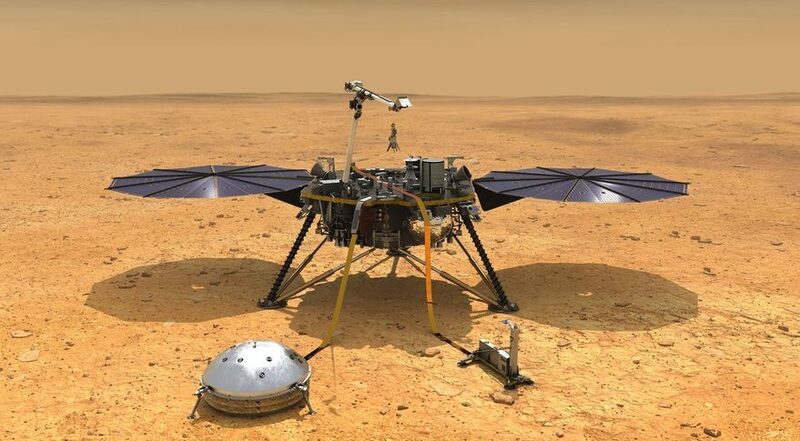 The Lockheed Martin-built spacecraft touched down on Elysium Planitia near the Martian equator at 2:52:59 p.m. Eastern. 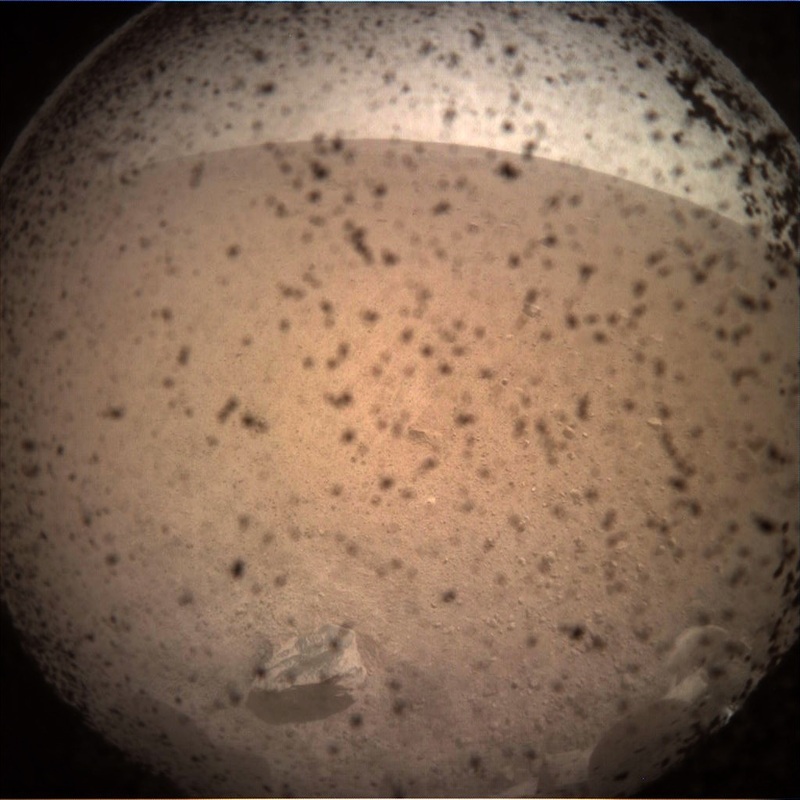 Telemetry from the lander, relayed by a pair of cubesats called Mars Cube One (MarCO) passing by the planet, confirmed that the lander had made it safely to the surface. It transmitted an X-band “beep” seven minutes after touchdown, as planned, confirming it was operating. 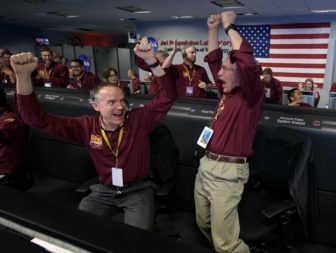 NASA announced about seven hours after landing that InSight had deployed its two solar arrays. “We got very close to the bullseye” in terms of the landing site location, said Tom Hoffman, InSight project manager at the Jet Propulsion Laboratory, during a press conference a little more than two hours after landing, but noted he didn’t have the precise location yet of where the spacecraft touched down. With the landing, InSight will begin a prime mission scheduled to last two years to study the composition and structure of the planet’s interior. The spacecraft is equipped with two instruments, a seismometer and a heat flow probe, to carry out those measurements. 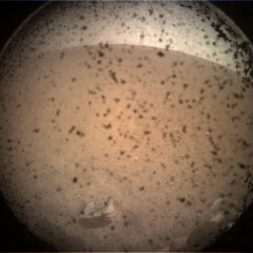 However, it will be several months before InSight starts collecting data from those instruments because of the time required to identify the best locations around the lander to place the instruments, and then to install them in those locations. Problems with the seismometer, provided by the French space agency CNES, caused InSight to miss its original launch window in March 2016. The instrument was redesigned and completed in time to allow InSight to lift off on an Atlas 5 from Vandenberg Air Force Base in California May 5. InSight has an unusual degree of reliance on international partners for a NASA science mission. In addition to the seismometer, the heat flow probe was provided by the German space agency DLR. Those international contributions accounted for about $180 million of the mission’s overall cost, including launch and operations, of nearly $1 billion. For Banerdt, the mission is an opportunity to realize a long-held dream of measuring seismic activity on Mars. Prior to the landing, he recalled being at JPL, as a graduate student, for the landings of the NASA’s twin Viking spacecraft in 1976. Those landers also carried seismometers, but didn’t provide useful data.